Shaun T is back on Beachbody On Demand! If you’re a fan of his functional fitness programs like INSANITY and FOCUS T25, then you’ve most likely been waiting for more of Shaun T’s legendary workouts. 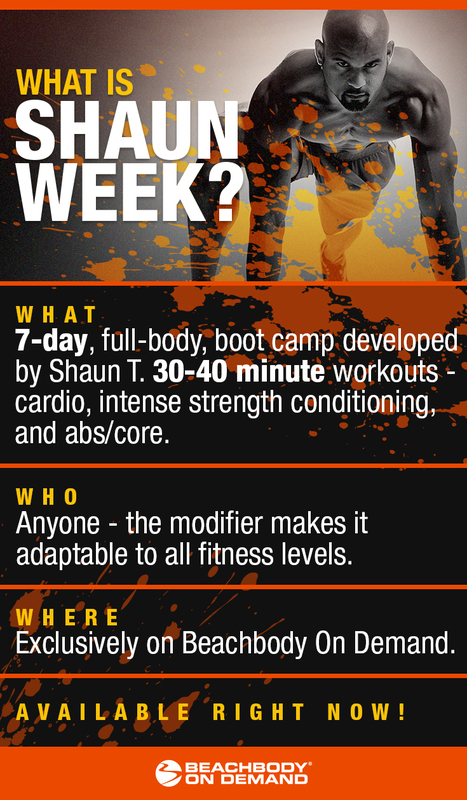 Well, the wait is over — SHAUN WEEK: INSANE FOCUS is now available on Beachbody On Demand! No fancy editing or graphics, no fanfare — what you see is what you get: Shaun uncensored. If you want one week to challenge yourself and get back on track, this is it. Not a Beachbody on Demand member yet? Sign up here for the best value in fitness.